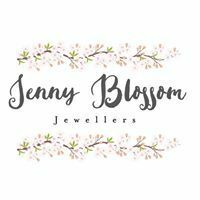 Jenny Blossom Jewellers uses Renata batteries wherever possible. These tend to be the most expensive but are in our view the best. Renata is a Swiss made battery manufacturing company owned by Swatch Group (Omega, Longines, Hamilton, Breguet etc). In our experience, Renata batteries are the most reliable and last the longest too. They are also the battery of choice fitted by premier Swiss watch houses including Tag HEUER, Breitling, Chopard and even Rolex for their quartz collections. We can fit most batteries whilst you wait. We charge £7 and the battery is guaranteed for a year with us. We offer a more specialist courier service to a local watchmaker for watch batteries and servicing and complex repair services. This is a Friday to Friday service where we call the client with a quote before any work takes place. Our watchmaker is extremely skilled but some repairs can take a few weeks to a few month as parts are difficult to get hold of. If you are unsure you are also able to return your watch to its brand watch servicing department. We can help you decide what is best. We have an assortment of Genuine Leather straps onsite for £7. Fitting straps bought online £2.